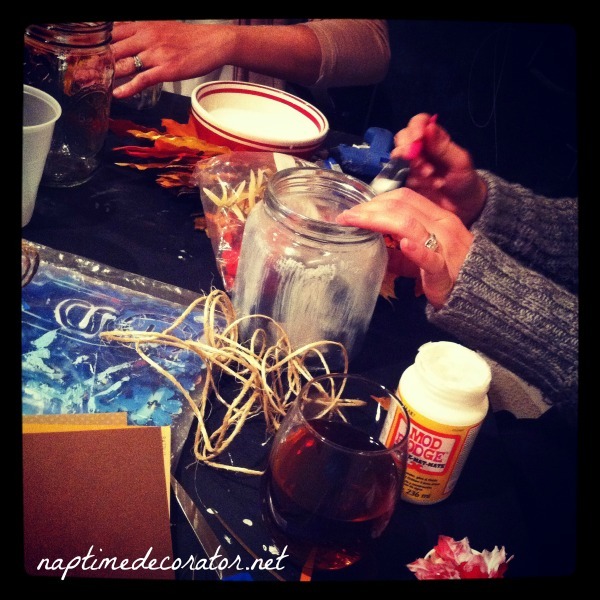 Craft Night: Get Stuff Done/Fall Night! Always a fun time. 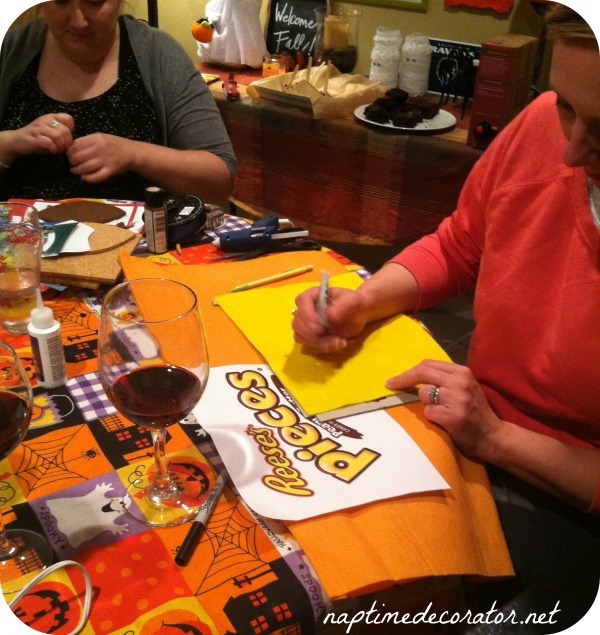 Wine, chocolate, and hot glue guns and Mod Podge abound! What could be better? We went with an “Anything Fall” theme. Halloween, Thanksgiving – whatever you feel like tackling, knock yourself out. Being that this is an insanely busy time of year, a bunch of us brought things that went with the theme, but that could also cross something off the neverending to-do list. Like DIY costumes for our kids. 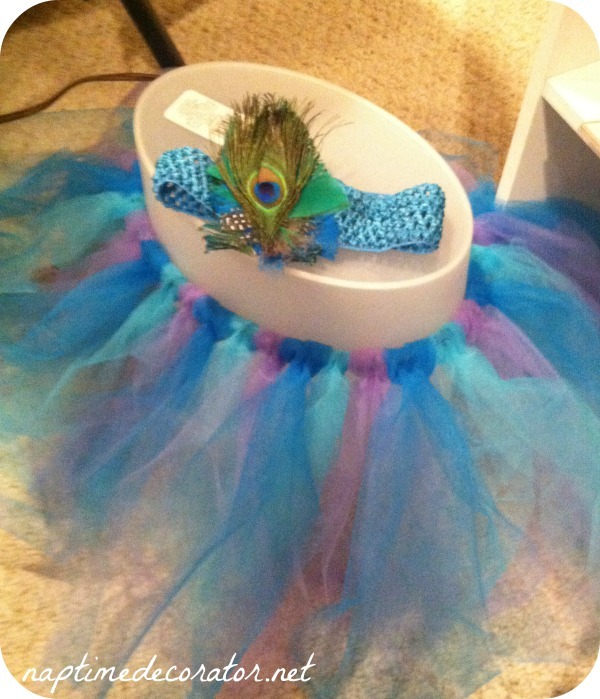 I’m obsessed with this adorable tutu my friend made for her 1 year old. A peacock! Get out of town. She brought a (clean!) 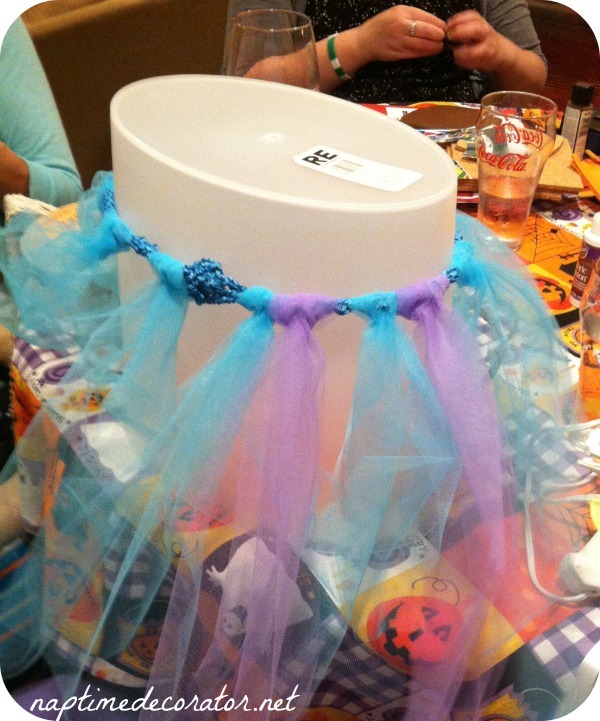 plastic trashcan to use as a template – turned it upside down, stuck an elastic band around it, cut strips of tulle, and knotted them all around. Then she added a peacock feather to a baby headband. That baby’s going to be ridiculously adorable on Halloween night! Another friend made a DIY costume for her little one – her name is Reese, so…. Being a mom of a Reese myself, I could kick myself that I never thought of this before!! Maybe next year…she’ll be 9 then, but maybe I could cut some holes in the arms and legs;). 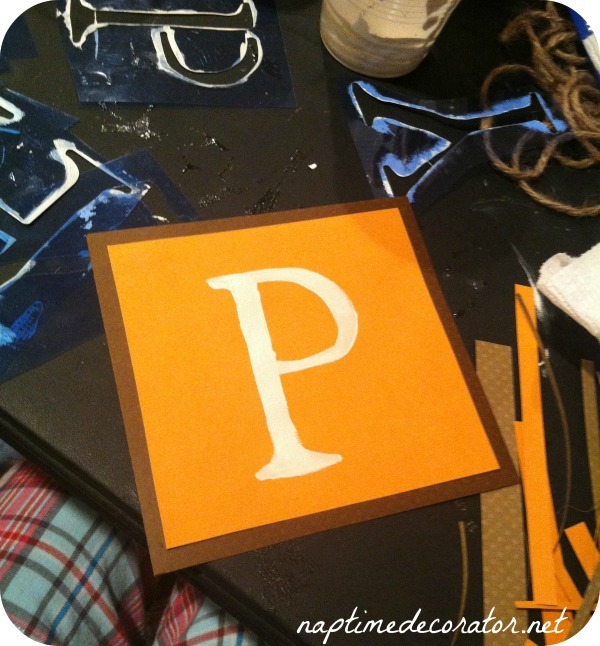 All she did was cut orange felt and used fabric glue to attach the bottom and side. 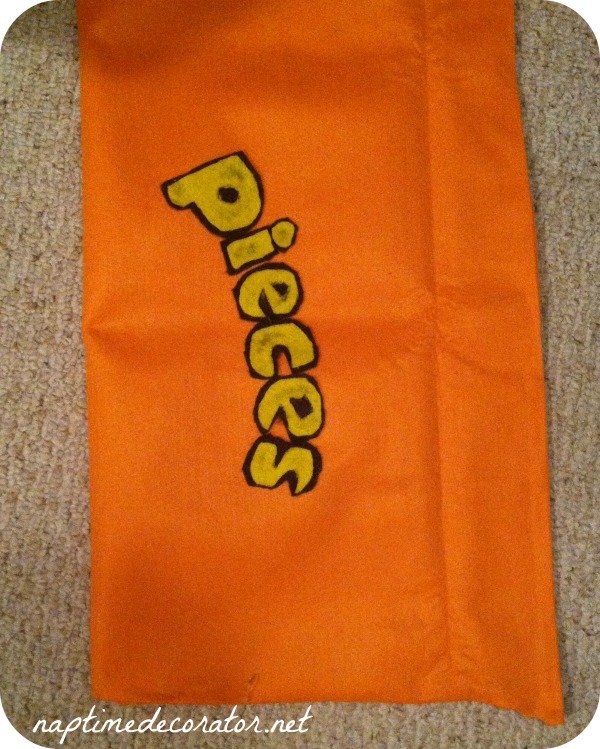 Then she printed out the logo, traced it onto felt, then cut that out and glued it to the orange “bag.” Her squishy little face peeking out of that bag is gonna KILL ME on Friday! Can’t wait to see her! 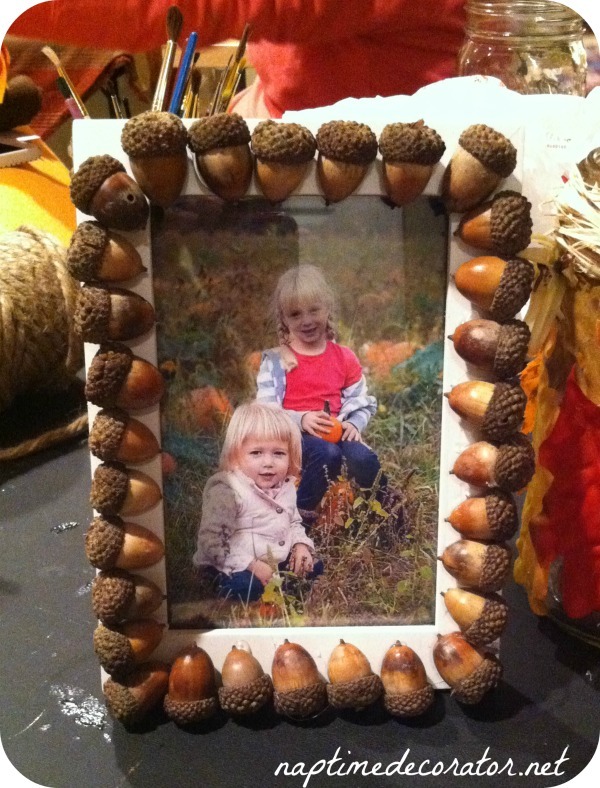 Then…we had a super cute acorn frame – just acorns, a white frame, and hot glue gun. A pumpkin farm picture of her cutie pies makes it complete! Perfect for some flameless votives, or even as a vase for some mums? How much more “Fall-y” can you get?! 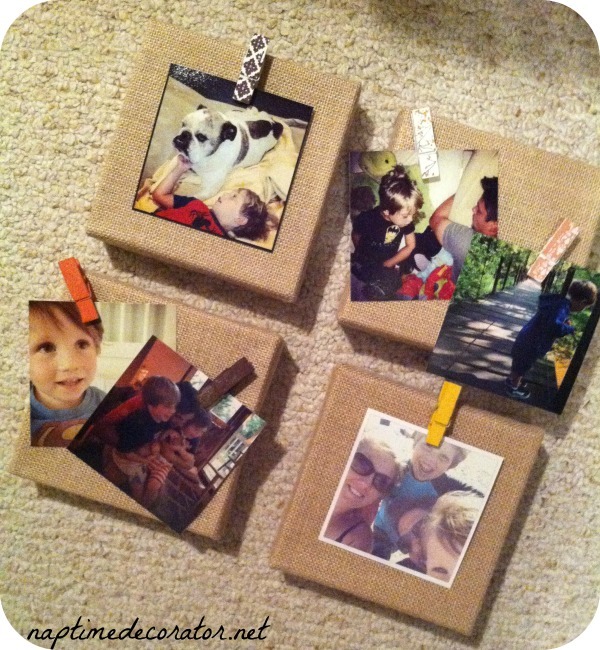 And how about these picture holders my friend made with those already wrapped in burlap canvases from Michaels? 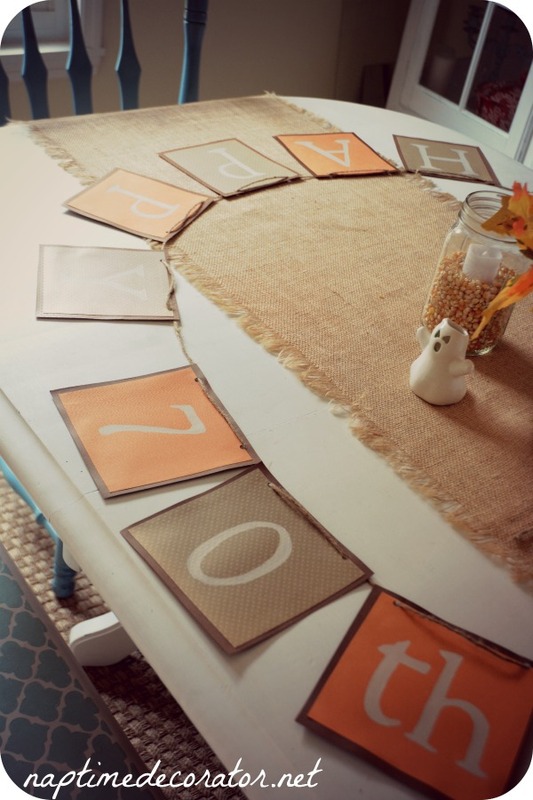 Just some hot glue under those adorable mini clothespins, and printed out Instagram pics…LOVE! 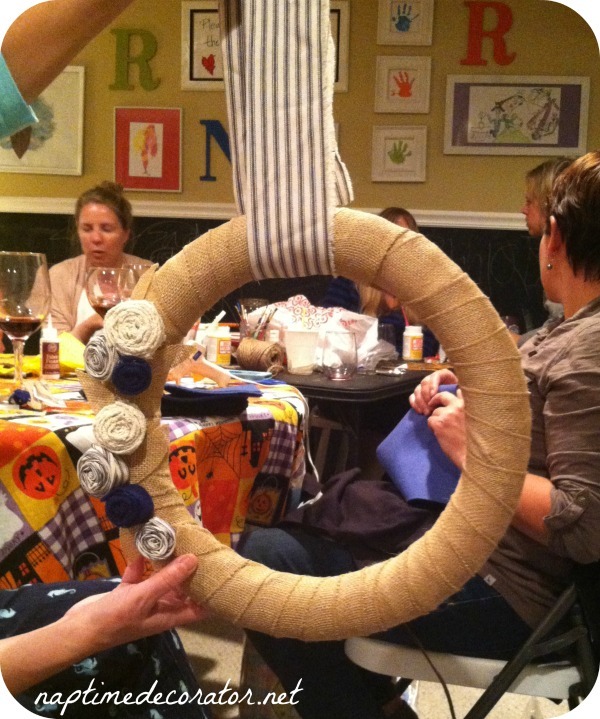 And of course, a Craft Night wouldn’t be complete without someone making a wreath! 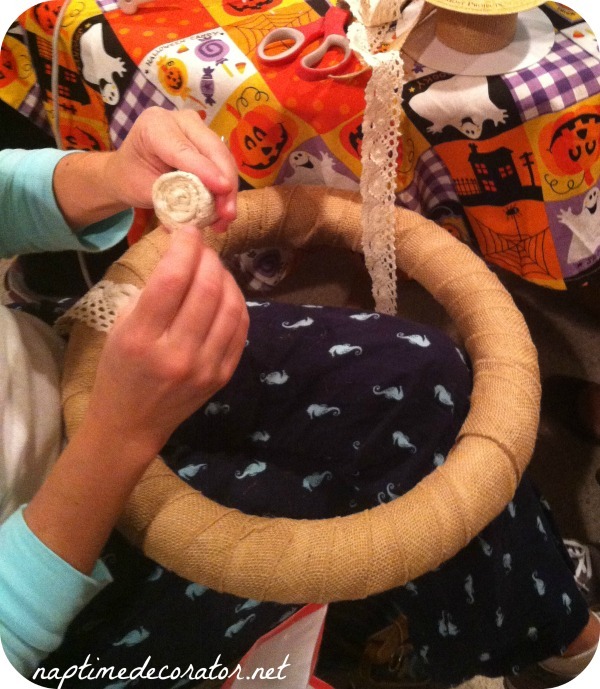 Always seems to be a wreath in the mix;) Check out this beauty my friend made by wrapping a wreath form in burlap strips, then making fabric rosettes. So lovely. 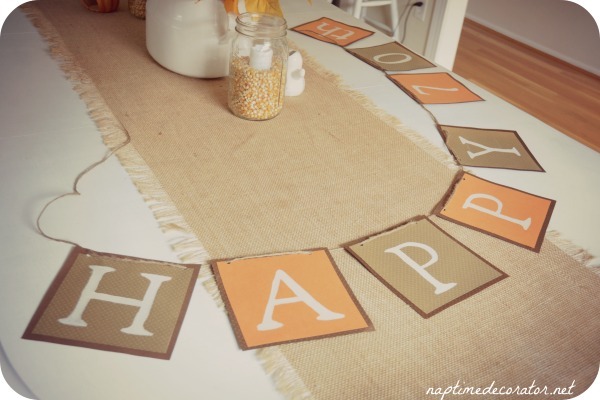 Can never go wrong with a burlap wreath, amIright? One of my girlfriends works in a high school as a counselor – she made these pins for the Seniors’ Homecoming. 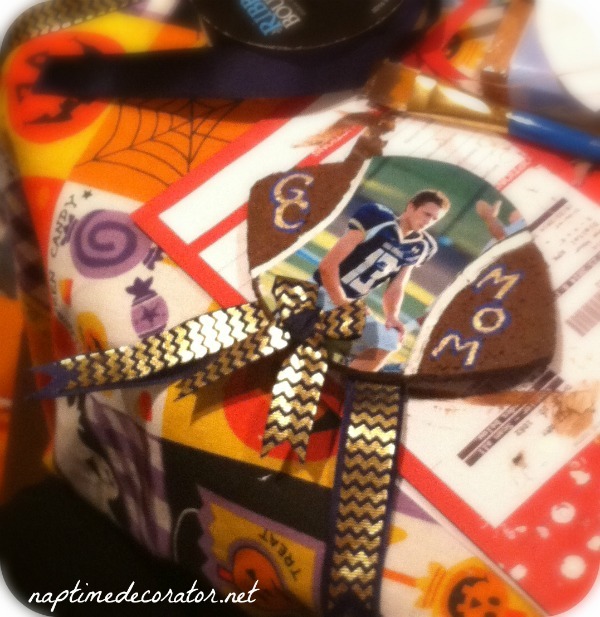 She cut cork in the shape of footballs, added photos and ribbon, and a pin on the back – made them so cute and personal. Adorable. I’m sure those moms will just flip over these! And lastly, I decided to cross something off my list and make a banner for my dad’s upcoming 70th birthday party. 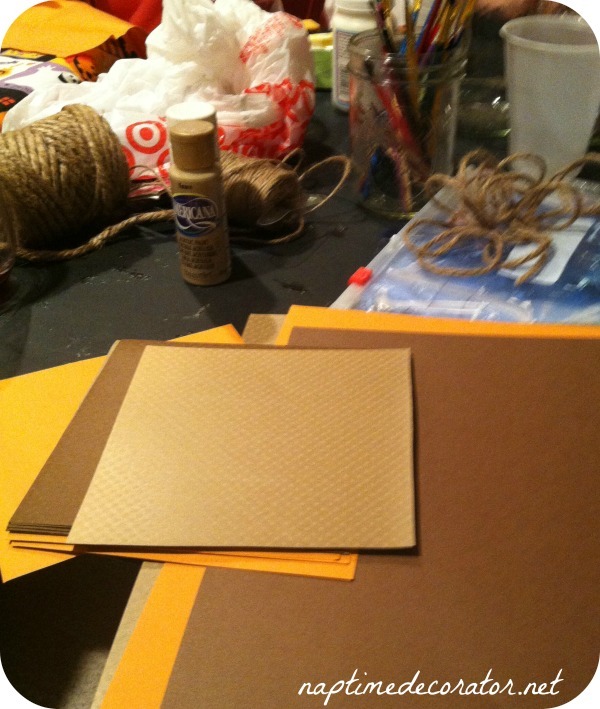 Since it’s in November, we’ll be decorating with lots of fall colors inside the house, so I picked up some cardstock in orange and browns. Then I cut the dark brown in squares, and the other colors in slightly smaller squares. The orange is nowhere near as in-your-face as it looks in that picture…that’s what happens when you take photos with your phone in a dark basement at night – one of these days I’ll learn! I punched a hole in the top left and right corners, and threaded some jute through the holes. 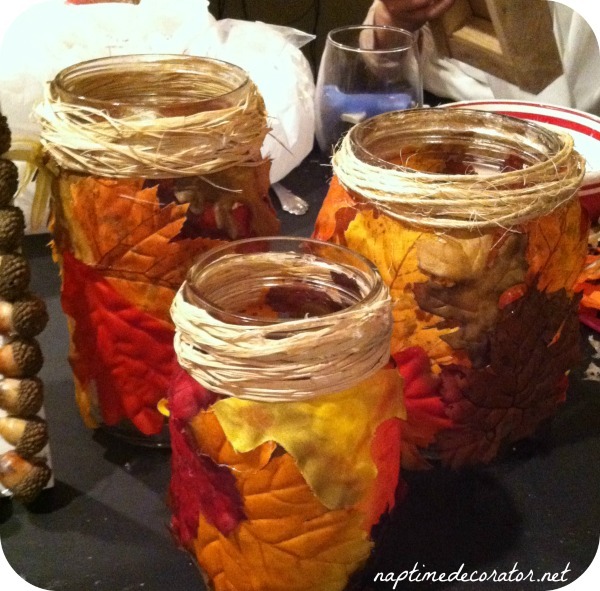 We’ll tape it up for the party – probably above the mantel, or maybe in a doorway – and that’s it! Banners are fun, aren’t they?